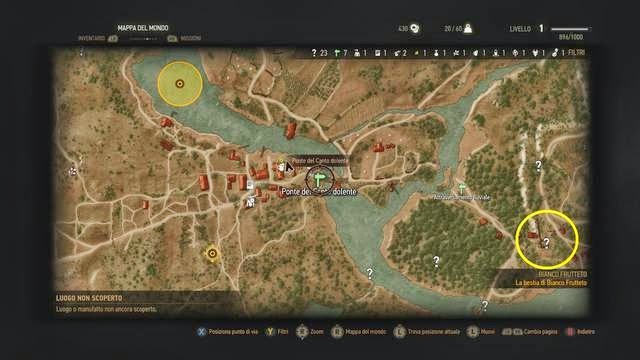 Where to find all armor / gear sets: Bear, Griffin, Viper and all the Witcher schools! The Witcher 3 - Set Armature Witcher - Bear, Griffin, Viper etc .. - In this section of our guide to The Witcher 3: Wild Hunt, you can find out how and where to find all the pieces of the most powerful set of Armour / gear in the game! 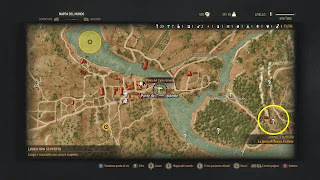 Missions to find the pieces of equipment are stamped on the menu as TREASURE HUNT and can be unlocked by finding a piece of armor or documentation. ATTENTION !!! - For some armor, there are more powerful versions that increase the parameters! REWARDS: Experience, consumables, Money, Spade, Projects Creating school viper. INFORMATION: The mission expects to recover the full gear Witcher VIPER. You'll have to basically find two projects to create the STEEL SWORD and SILVER SWORD VIPER. The projects are located in two different places, finding one you unlock the location of the other. Stop in question circled in yellow you see in photos and circumnavigate the fortress destroyed to find some rocks to stand on to reach the top. You will find some bandits, one of Lv. 5 with a halberd able to throw shots very powerful. Once deleted, patrolled the castle to find many useful items and the project for the VIPER STEEL SWORD. Now you will have unlocked the mission, following the menu missions will place the second project. This object is located in a catacomb near the mill in the north compared to the previous project. In front of the catacomb is a PLACE OF POWER guarded by a WRAITH level 7. Use the sign TRAP MAGIC to hit the Wraith. HP lost half the spectrum will disappear and you can scour the area for clues. Open the door and get out of the catacombs. The Wraith will come back again and you'll have to use the sign TRAP MAGIC to defeat him once and for all. Patrol the catacombs to find many useful items and the project for the VIPER SILVER SWORD.